On July 13, 1787, the Confederation Congress passed the Northwest Ordinance. 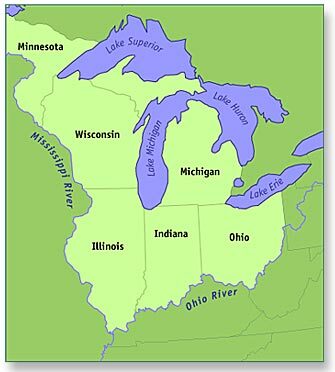 The act created the Northwest Territory. It also established a form of government and specified how the various parts of the Northwest Territory could become states. The Northwest Ordinance required the creation of at least three but not more than five states from the Northwest Territory. The first state to be formed from the Northwest Territory was Ohio, the seventeenth state of the United States of America. While the United States government had now established how the Northwest Territory would be governed, American Indians living in the area did not consent to American control of the region. From the Northwest Territory's creation in 1787 until well after Ohio statehood in 1803, bloodshed between white settlers and the American Indians already in residence in the region continued in the American Northwest.